There are good ecumenical links and Remembrance Sunday is celebrated at St Matthews’ where the village War Memorial is situated. A Fellowship Group meets on Thursday mornings which is open to all. 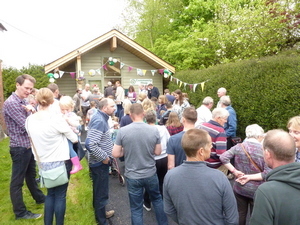 Update 2018: When our Village Shop and Post Office closed in December 2016, a group of concerned villagers formed a committee to look into the possibility of a Community Run Shop. 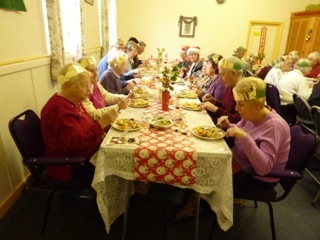 With a lot of help from the Trussell Trust, grants were obtained, and plans drawn up. 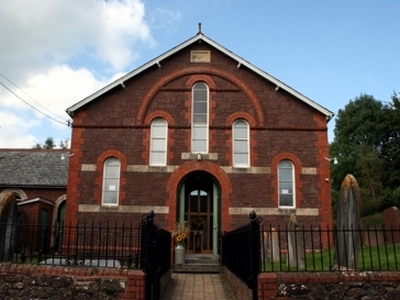 Initially it seemed impossible to find a suitable site, but the Methodist Church suggested they might like to build it on a small area of land, which had originally been used to tether horses belonging to preachers and congregations. 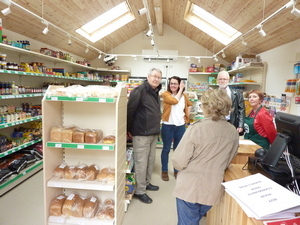 Several members of the Church helped by calling on residents and visitors inviting them to purchase shares in the new shop. 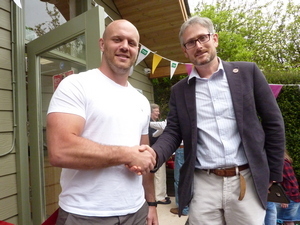 This was opened on 12th May by Jack Yeandle from the Exeter Chiefs, with refreshments being served in the Church. As an experiment, we are now holding occasional ‘pop- up’ coffee mornings for shoppers.